The Foundation became a member of the Global Environment Facility Civil Society (GEF-CSO) Network in March 2016. The network is comprised of civil society organizations whose work in the area of sustainable development is aligned with the mandate of the Global Environment Facility (GEF). 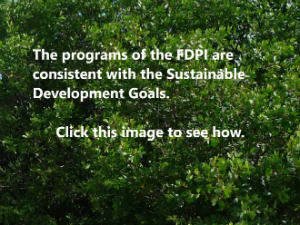 The primary role of the network is to facilitate the engagement of civil society organizations in the work of the GEF.